The color preference expresses the inner state of a patient directly, and as such it is a significant and specific homeopathic symptom. It has been helpful to indicate or confirm the correct diagnosis of a remedy in many cases. 18 years of clinical experience in thousands of cases stand behind this publication. The color preference as a homeopathic symptom was discovered by H.V. Müller in 1985. 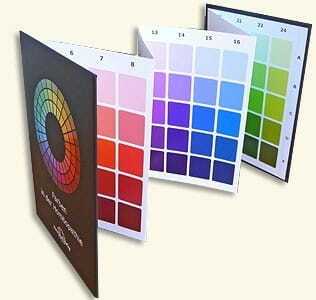 The 120 colors presented in this book were selected according to clinical relevance and allow us to assess the color preference with sufficient accuracy. The corresponding remedies can be looked up in the color/remedy list like in a repertory. The printed version comprises more than 1000 well-confirmed remedies. The list of the website is updated regularly with the latest clinical findings. This is the Third revised edition.